The Garbatella in Rome, is a very special residential area because it is divided into lots, areas surrounded by homes with gardens and courtyards. A very particular example is the lot 24 with a series of villas between Via delle Sette Chiese, Via De Jacobis and Via Borri. Places of interest in the Garbatella are the catacombs of Commodilla, Carlotta Fountain, Piazza Eugenio Biffi, but the district is also important for the city's economy because of the presence of the Regione Lazio building, on via Cristoforo Colombo. 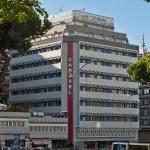 The Garbatella will soon undergo extensive renovation, especially in the area used during the World Cup in 1990. You can reach the Garbatella district by metro station line B - stop Garbatella and here you will find many 3 and 4-star hotels but also residences and B & Bs. Select travel dates and find all available hotels in Rome - Garbatella, check out guests reviews and locate properties on Rome city maps, book your favourite accommodation with no pre-payment. All rates are in Euros and inclusive of all taxes. 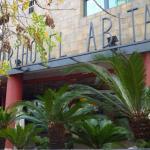 The Tre R Hotel stands in a quiet suburb of Rome, 4 km away from the Coliseum and 3 km from the Baths of Caracalla. The bus stops near the hotel, allow easy access to the citycentre and the EUR district.